I’ve been working on this MOC for the last couple of months, in far-from-ideal conditions, and on the 23rd December everything finally came to a head. This is the second of what’s going to be my annual Winter Village builds. Last year’s build was my Winter Village Clothes Store, which didn’t go down well at all in either of its iterations. 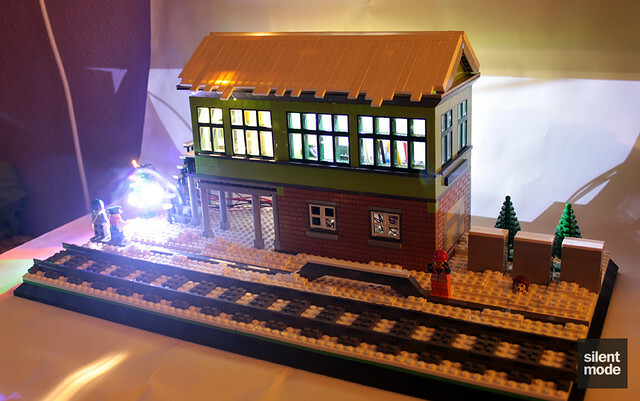 This year I decided to build a signal box: a traditional railway building used to control signals and switch points. I was inspired to build a signal box from the mysterious building I often saw at Gladstone Park when I was younger. We don’t really see signal boxes any more, mainly because of the digitisation/automation fetish of many people, but for the sleepy country town of Snowdonia (where I’ve set the Winter Village) they still serve a purpose. I decided to add to the MOC was a custom lighting solution. 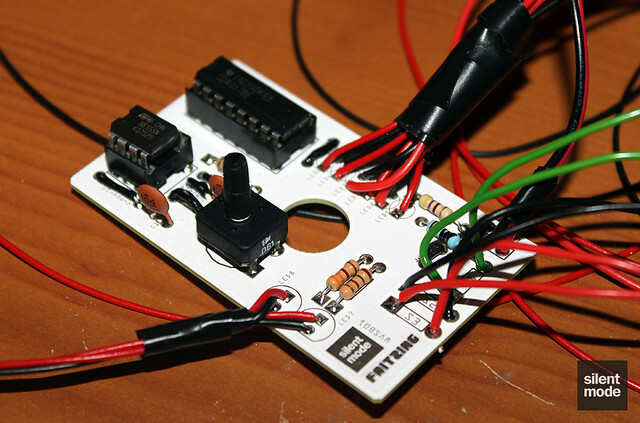 While I could have spent a small fortune on Life Lites, I decided I wanted to figure out how to make a circuit – so I did, with the help of Fritzing and a few online tutorials. Despite all the hard work and adversity, it seems there’s always one very vocal (yet anonymous) person who has to criticise or make a smart-mouth comment; in this case it was about the top row of masonry bricks. I’m not going to explain why it’s built that way; go find out for yourself. However I am proud of the finished model, and I see it as a step up in my building ability. I have no doubt that nobody would vote for it in a competition, however. 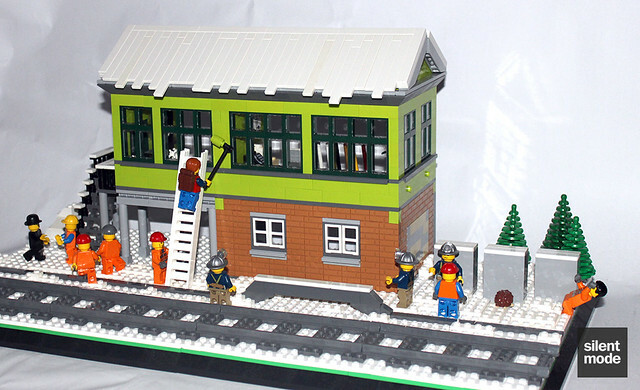 I had actually wanted the signal box to be a showcase model in a LEGO store, but it’s probably too wide! Never mind, I can always run my new City Passenger Train past it instead. For more pictures of this MOC, check out the dedicated set on Flickr.